leveler is a wise investment.  Allows easy removal of debris. loading bridge matches the demands of the facility. 55,000 lb. yield, safety treadplate. 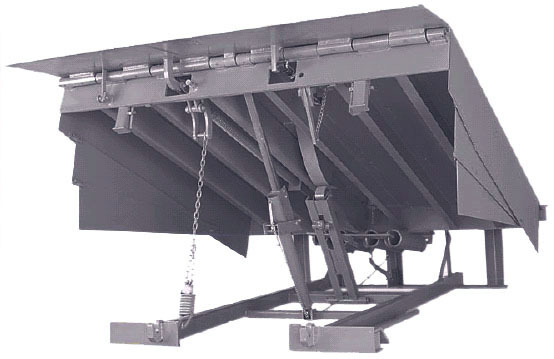 tenance strut supports deck during maintenance or inspection. of the lip until walk down is performed.  Lip mechanism is completely yieldable.  Multiple spring counter balance. balance and easy walk down of the ramp. Note: 24" pit depth is standard on all 10' long levelers. 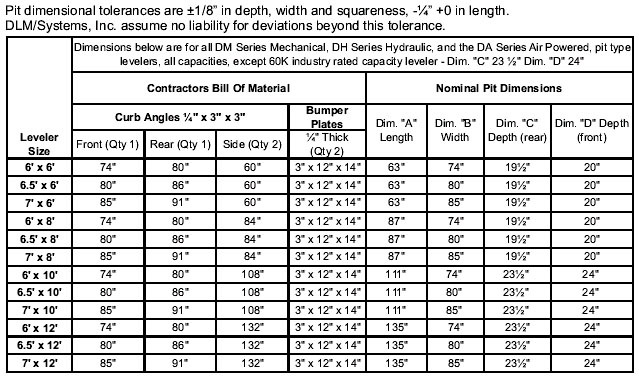 Pit dimensional tolerances are ±1/8 in depth, width and squareness, -¼ +0 in length. We assume no liability for deviations beyond this tolerance. NOTE: Projection of pit may require modifications to seals and shelters. 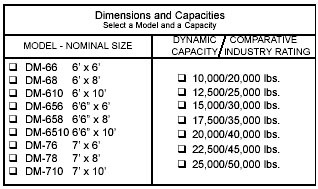 Coordinate with supplier if required. platform and lip. 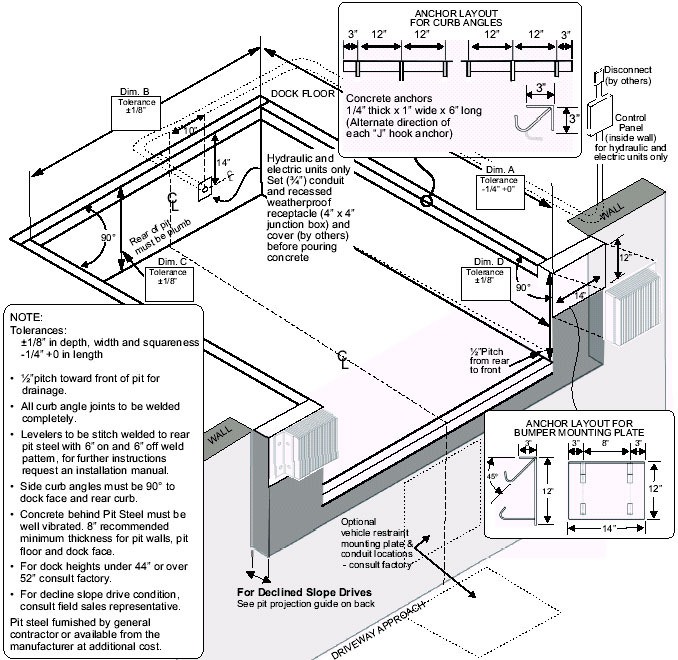 Unit conforms to OSHA, U.S.
accordance with certified Systems, Inc. pit detail drawings. rear of ramp; unit will raise and lip will extend and hold. assembly. Operator to walk ramp down to truck bed. providing nighttime security and cross-traffic support. 50,000 minimum yield A572 steel safety treadplate. 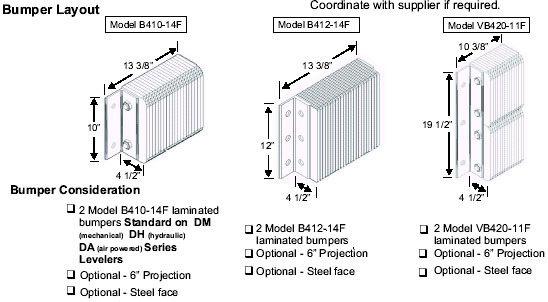 designed to compensate for up to 4 of canted truck beds. upon approved submittal of application information.